Working inside a 3000m² shed in Waharoa, near Matamata, the new Hyundai HL740-7 loader will shift between 500 and 700 tonnes of stock food per day for owners Ian and Donna Scatchard. The company stores, screens and processes stock food 24/7, from June until May. The HL740-7's smaller size and agility means one machine can keep two screens fed, freeing the other to stack and load trucks. "Working around the screens gets a bit tight at times," says Ian. "These [HL740-7] can work within about a seven metre circle and still get around alright - a bigger loader would be making a lot of three point turns. They [HL740-7] haven't got too much rear overhang either, so they're not going to be smacking into things." Enclosed in the air conditioned cabins, the HL740-7 drivers are unaffected by the dust caused by the bulk stock food environment. Internal pressure inside the cabins is maintained slightly higher than that of outside, reducing noise levels and keeping the cabin relatively airtight. With no frame cutting through the middle of the wide, front windshield, visibility is excellent. Radios that don't clog up with dust are also included. 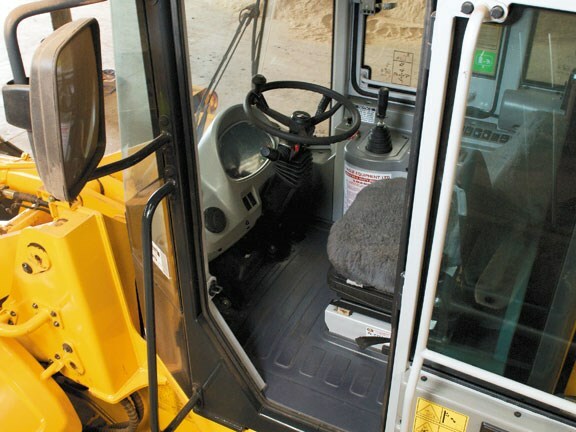 "The guys find them comfortable to drive and easy to operate. The automatic transmission makes life easier for them too," he says. 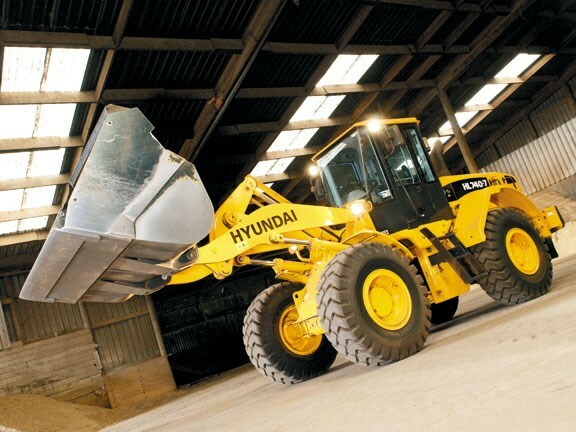 One modification the company has made to the HL740-7 is to increase the size of the bucket from its factory 1.8-tonne capacity, to 2.7 tonnes. 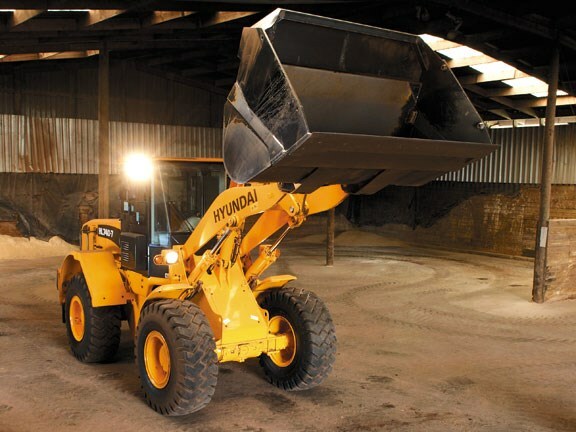 The increased bucket size means the HL740-7 can move as much product as a bigger loader, only twice as fast. Despite rarely leaving the shed, the Scatchard's loaders clock up a surprising amount of travel time. The loaders average a new set of tyres every 3000 hours. Ian's only criticism of his new addition is its length of lift and reach. "It could do with a little more," he admits, "but you'd have to go to a bigger loader to get that, and they're not so good in tight places." 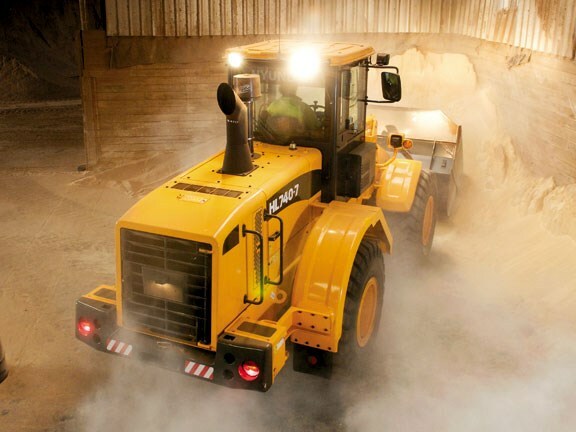 As a result of the dusty environment, the loaders are blown down at least twice a day and air filters are fitted with special pre-cleaners to help prevent overheating. Simple to access by turning the wing nut on the outer shell of the machine, the air filters are replaced daily, or every second day at least. Also preventing the HL740-7 from getting too hot is a hydraulic cooling fan. 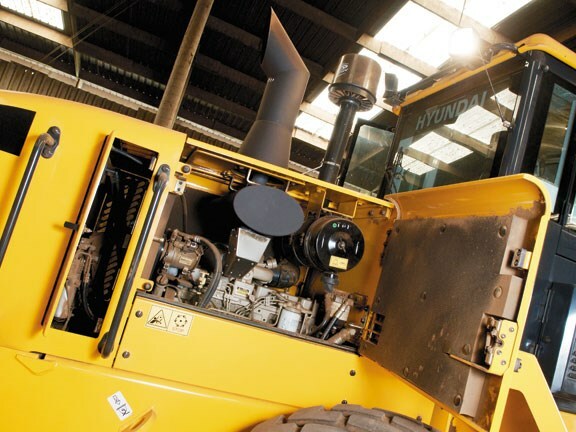 Operating independently of engine speed, the hydraulic fan senses coolant, transmission oil, and hydraulic oil temperature, and matches its cooling performance to actual operating requirements, minimising fuel consumption and noise. A coolant sight gauge installed on the radiator top tank, along with a hydraulic oil sight gauge on the side of the hydraulic tank, make for convenient checking of fluid levels. 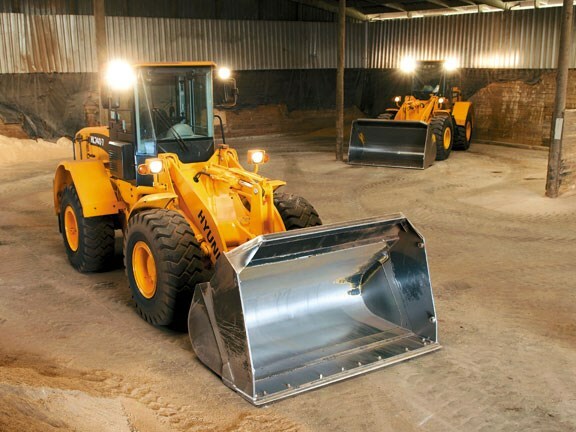 "The motors are really quite quiet, which is ideal for working inside a shed," says Ian, "and they're noticeably more economical than the older ones [loaders]." Bigger gauge, radiator gauze is another plus in the dust according to Ian. "Other loaders we've used have fine gauge stuff [in the radiators] and the dust can't get through it, which causes all sorts of overheating problems," he explains. Although serviced by a specialist mechanic, Scatchard says the HL740-7 is accessible and simple enough to grease and oil change himself. Large side panels make engine inspection safe and simple and the fuel filter can be spun on and off for quick replacement. Grease fittings are centralised on the machine for fast access during service checks and a remote type drain port located near the rear axle makes it easy to change engine oil, coolant, and hydraulic oil. 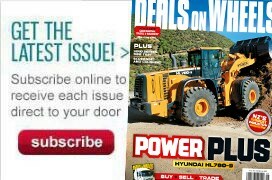 Read in-depth machinery reviews in the latest issue of Deals On Wheels magazine, on sale now. See Hyundai loaders for sale.